Schedule Monthly Security Meetups provide an opportunity to listen to and share security research within the Canberra region. The meeting occurs normally on the 3rd Friday of every month. Each meetup consists of 1-2 talks of around 30 mins each. Talks start at 6pm and are followed by some socialising at a local pub. The talks at Schedule are technical. CSides welcomes new and interesting speakers to present - the topic will be on a technical or security issue. As a speaker you can be an expert, a student, someone learning a new area or maybe a regular speaker on the conference circuit, but we also love to have new and occasional speakers. Please contact one of the organisers below if you are interested in speaking. Finally, Nintendo combines the console and portable into a single device – the Switch. But who has the pocket space to carry around multiple devices? Surely there’s a way enjoy the fun of the Switch on a mobile device… Just pair some controllers and bam! But nothing is ever that easy, and sometimes a binary patch is the key. This talk will cover how to understand and make your own binary patches for Android, including Android security considerations and patching from the kernel using a driver. Peter Rankin is a secure software developer for Penten, solving hard problems in the mobile space. Outside of work he enjoys making devices do things they shouldn’t and then never using them. Peter has previously worked as a software engineer for Australian Department of Defence, Robert Bosch and Thales Australia. Dr Silvio Cesare is the managing director of the Canberra-based training, consultancy, and occasional hacker space, InfoSect. He is also the co-founder of the annual BSides Canberra conference and the Schedule monthly security meets. 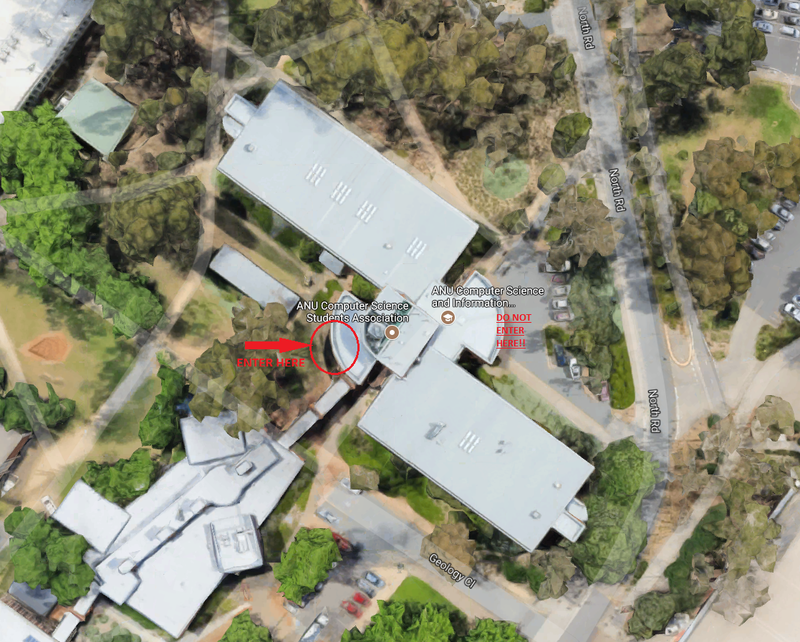 Before InfoSect, he was the Director of Education and Training at UNSW Canberra @ADFA. During his career, he has been the scanner architect at Qualys, worked in Silicon Valley, taken University research to commercialization, written a book, and published within academia and industry. USB fans, so cool right! What if the fan could talk to you? I finally found a fan that would talk to me, but I wanted more from it. This talk discusses reverse engineering software and USB protocols all to reimplement an RGB LED fan's USB protocol. Fergus is a software developer with a focus on security, malware and embedded platforms. Developers regularly use public repositories to install 3rd party libraries, from OS-specific repos like the Arch User Repository to language-specific repos like Python's PyPi, to public sourcecode repos like Github. The majority of requests to these systems are under SSL, to known, trusted, public servers, and request would not look out of place coming from a software build server or a developer's workstation. This talk will present a novel example of using Python's official PyPi repo to create a command-and-control and data exfiltration channel. It will then cover analysis of other common public repositories; detailing protections in place to prevent similar malicious usage. Pat is a software developer who creates silly security tools, referring to them as "novel techniques" in a vain attempt to gain street cred in the infosec community. Shellcode, as a stranger in a foreign land of memory and execution, is a literal use case for the phrase 'pull yourself up by your bootstraps'. This talk analyses and explains how, when you start from nothing, all you need in the end is 367 bytes of code and data to get badness done. Christian is intrigued by how things work on the inside. During daylight hours he is part of CrowdStrike's APT hunt team, finding hands on actors that have infiltrated networks across the globe. He has a particular keen interest in operating system internals, and understanding the implementation of implants and binary tool-kits. A simple discussion on threat modelling, what it is, using threat modelling in vulnerability research, and a few basic tips. Over 10 years experience in cyber security. Heavy focus on reverse engineering, finding vulnerabilities, getting them fixed and improving the security posture of software and systems. Adrian Herrera is a cyber security researcher at the Defence Science and Technology Group and a visiting researcher at the Australian National University. His research interests are in applying program analysis techniques from academia to solve practical reverse engineering problems. IT Audit - Tick and flick checks for your network, right? What sort of things does an Internal Audit team do. European financial centres use their internal audit functions for penetration testing, physical security checks and red teaming activites. Mark will tell some of the stories of his time working in an Internal Audit function in Europe. Mark started off as a systems administrator looking after Novell and AS/400 systems, he moved into Windows and Linux administration and happily did this until 2013 when he had the option to try working in IT security and has been trying to become more than a script kiddy since then. He also enjoys it when he gets a chance to do physical security testing. An important pre-fuzzing step is to choose which seeds you want to use in your fuzzing campaign. Too many seeds is very bad because most seeds are pretty similar to one another. Too few and you don't have enough diversity for the fuzzer to explore new behaviours. In this talk we look at how to conduct optimum corpus design and introduce two new open source tools to do this: Moonshine and Moonbeam. Shane Magrath is a security researcher in Defence Science and Technology Group. His interests revolve around how to conduct large scale fuzzing campaigns and how to automate as much of this as possible. There is an increased focus on critical infrastructure control systems cybersecurity in the world. This presentation will give an introduction to control systems cybersecurity concepts and directions. VProbes is a dynamic instrumentation system developed by VMware. It is used to provide observability into both virtual machines running on VMware hypervisors, and the hosts themselves. It was developed for internal use in applications such as debugging, tracing, and performance profiling. This talk presents an investigative project on the use of VProbes as a tool for detecting program crashes in virtual machines, and providing diagnostic information relating to the crash; specifically in cases where access to the operating system is limited. The hardware-level systems involved in program crashes will be discussed, as will the operating system-level procedures which determine how to respond. Sam Wade is an undergraduate student at the ANU, studying majors in maths, computer science, and electronics engineering. He is also an intern at the ACSC, where the project discussed in this talk was undertaken. Michael O’Flaherty (MOF) is just an IT Sec guy who likes to pick locks and is a massive fan of the long bio. For most of the year, I've been performing code review against a variety of open source software including kernel code and userland applications. As such, I've found numerous vulnerabilities in userland Linux and the Linux, FreeBSD, and NetBSD kernels. I've even been streaming some of the code review sessions on twitch and YouTube and holding public code review group meets at the InfoSect hackerspace, generally finding security vulnerabilities in every session. This presentation looks at some of these vulnerabilities, as well as making the case that this type of research has value in academia. Dr Silvio Cesare is the Director of Education and Training for Cyber Security at UNSW Canberra @ ADFA. He is also the co-organizer of BSides Canberra, Schedule, and InfoSect.